Nigerian artists are finally becoming more aware of their brand power and in a modern age of streaming, music streams won’t cut it anymore. There’s an incredible renaissance happening in the creative and tech scene, a paradigm shift. The biggest stars from Nigeria have all inked deals with global record companies with the structures equipped enough to help them turn their music into merchandise, tours, global endorsements, an idea Wizkid has explored with his pop ups in London and NY for Starboy. Tiwa Savage is arguably the biggest female artist out of Africa, and a massive cultural influencer. Her brand has been built around her global hits and a huge following for her style, it’s no surprise she’ll be releasing a capsule collection for her UK tour, which kicks off this weekend. 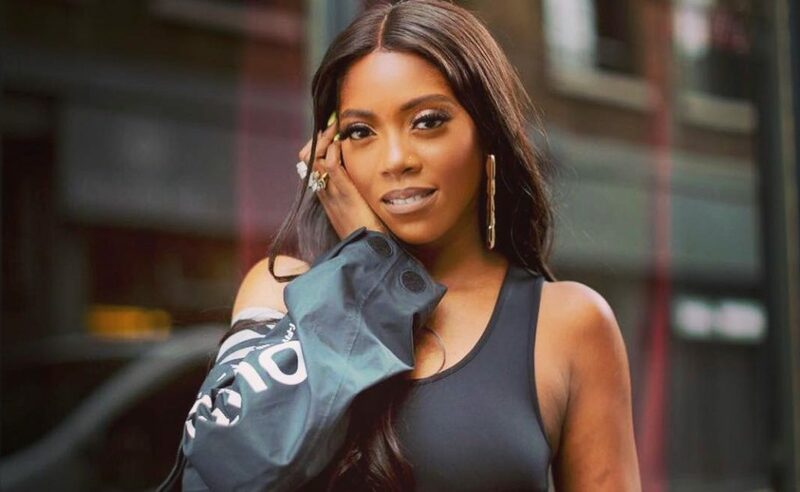 Featuring inscribed t-shirts, bandanas, jumpers, hoodies and phone accessories, (all curated by Irene Agbontaen of TTYA), Tiwa’s capsule collection was launched at a pop-up store in London yesterday. We hope that like Wizkid’s merch, Tiwa’s will be available for purchase in Nigeria.